Chronic pain affects hundreds of millions of people worldwide and is a major cause of disability, causing more disability than cancer and heart disease. Canadian researchers, including Dr. Michael Salter at The Hospital for Sick Children (SickKids) in Toronto, are shedding new light on the molecular dynamics of chronic pain. They have uncovered a critical role in pain for a class of cells present in the brain and spinal cord, called microglia. 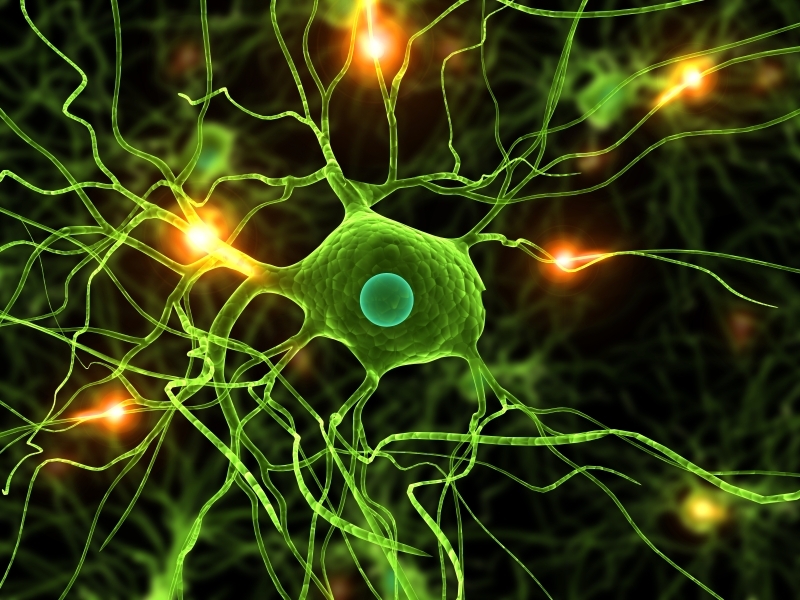 They have found microglia-to-neuron-signaling to be crucial in the development of pain hypersensitivity after injury, but also for one of the paradoxical effects that morphine and other opioids sometimes produce, called hyperalgesia, which is an increase in pain sensitivity. The identification of these key players in the development of chronic pain helps identify important targets for the development of novel therapeutic avenues. Dr. Salter presented his team’s latest results at the 9th Annual Canadian Neuroscience Meeting, on May 26, 2015 in Vancouver, British Columbia. This meeting is being held from May 24 to May 27, 2015. "We're developing a new understanding of the control of microglia-neuron interactions that may be critical for individualizing pain therapies" said Dr. Salter. Pain is a complex experience. The International Academy for the Study of Pain (IASP) defines it as "an unpleasant sensory and emotional experience associated with actual or potential tissue damage, or described in terms of such damage." While acute pain can be useful, as a signal that protects us from injury or even death, and inflammatory pain can protect us during healing, chronic neuropathic pain, which is a disease of the nervous system, is pain that persists after an injury is healed, serves no useful function, and is a major cause of disability. Work done in Dr.
Madagascar is home to extraordinary biodiversity, but in the past few decades, the island's forests and associated biodiversity have been under greater attack than ever. Rapid deforestation is affecting the biotopes of hundreds of species, including the panther chameleon (photo, copyright Dr. Michel Milinkovitch), a species with spectacular intra-specific color variation. A new study by Dr. Michel Milinkovitch, Professor of Genetics, Evolution, and Biophysics at the University of Geneva (UNIGE), led in close collaboration with colleagues in Madagascar, reveals that this charismatic reptilian species, which is only found in Madagascar, is actually composed of eleven different species. The results of this new research appears were published online on May 24, 2015 in an open-access article in Molecular Ecology. The authors also discuss the urgent need to protect Madagascar's habitats. In collaboration with Professor Achille Raselimanana of the University of Antananarivo in Madagascar, researchers from the Department of Genetics and Evolution in the UNIGE Faculty of Sciences, led by Dr. Milinkovitch, sought to find the genetic keys behind the panther chameleon's incredible color palette. As noted, the team’s analyses, performed on site in Madagascar, revealed the presence of 11 rather than a single species. It took two expeditions led from East to West for the scientists to collect a drop of blood from each of 324 individual pather chameleons and document them through color photographs. The DNA (mitochondrial and nuclear) of each of the specimens was sequenced and analyzed in the laboratory according to the hypothesis that a chameleon's dominant color might be related to the geographic zone where it is found. Can the process of aging be delayed or even reversed? Research led by specially appointed Professor Jun-Ichi Hayashi (photo) from the University of Tsukuba in Japan has shown that, in human cell lines at least, it can. They also found that the regulation of two genes involved with the production of glycine, the smallest and simplest amino acid, is partly responsible for some of the characteristics of aging. Professor Hayashi and his team made this exciting discovery while in the process of addressing some controversial issues surrounding a popular theory of aging. This theory, the mitochondrial theory of aging, proposes that age-associated mitochondrial defects are controlled by the accumulation of mutations in the mitochondrial DNA. Abnormal mitochondrial function is one of the hallmarks of aging in many species, including humans. This is mostly due to the fact that the mitochondrion is the so-called powerhouse of the cell as it produces energy in a process called cellular respiration. Damage to the mitochondrial DNA results in changes or mutations in the DNA sequence. Accumulation of these changes is associated with a reduced lifespan and early onset of aging-related characteristics such as weight and hair loss, curvature of the spine and osteoporosis. There is, however, a growing body of conflicting evidence that has raised doubts about the validity of this theory. The Tsukuba team in particular has performed some compelling research that has led them to propose that age-associated mitochondrial defects are not controlled by the accumulation of mutations in the mitochondrial DNA but by another form of genetic regulation.